Join Harvey Nichols Edinburgh for an exclusive guided tour of two Edinburgh Art Festival exhibitions, followed by an exquisite afternoon tea at the Forth Floor Restaurant with an art-inspired menu. Starting at the City Art Centre with an introduction to Coming into Fashion, A Century of Photography at Conde Nast, you can view the images that were responsible for making fashion an art form, including works by Cecil Beaton, Helmut Newton, Corinne Day and Mario Testino. This is followed by a tour of Man Ray Portraits, at the Scottish National Portrait Gallery. The first major museum retrospective of this highly influential artist’s photographic portraits, the exhibition includes his iconic images of Pablo Picasso, Salvador Dalí, Ernest Hemingway and of his muses Lee Miller and Kiki de Montparnasse. 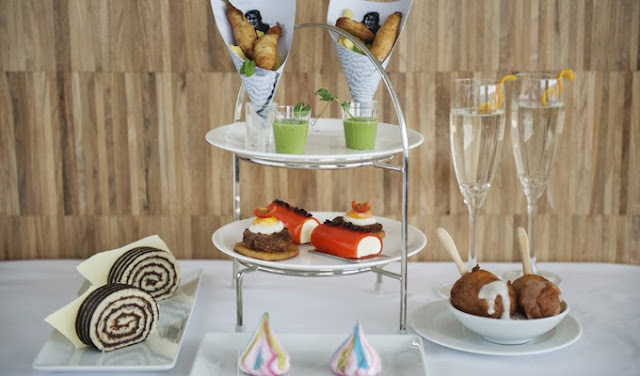 After feasting your eyes, the Artworks Afternoon Tea at the Forth Floor Restaurant offers a delicious menu that celebrates these iconic photographs in a unique interpretation by our talented chefs. Tickets are available for £25 per person, which includes afternoon tea, cocktail, and entry to the featured exhibitions as part of the tour on either Sunday 18 or Sunday 25 August.